Error: 'Log Server' is not responding. Verify that 'Log Server' is installed on the gateway. 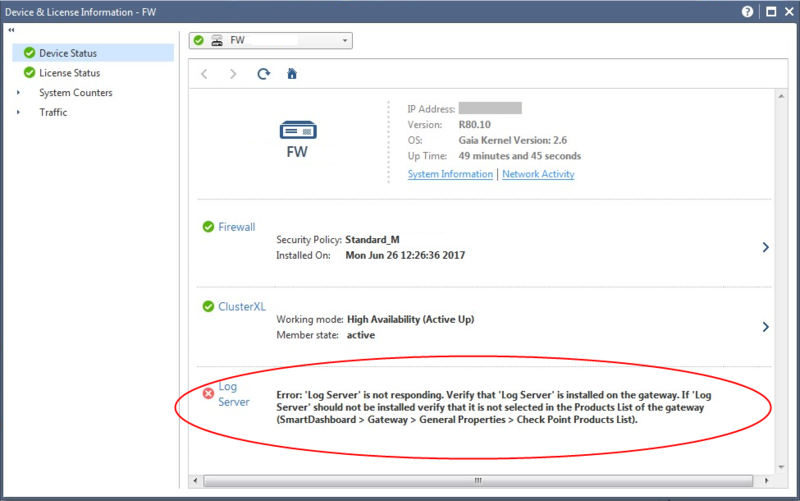 If 'Log Server' should not be installed verify that it is not selected in the Products List of the gateway (SmartDashboard > Gateway > General Properties > Check Point Products List).